What Does The Bible Teach About Charity? 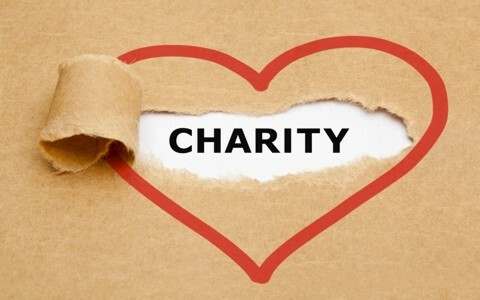 If you ask most people what they think of when they think of the word charity, you would often get an answer that describes an organization that serves the public. Likewise, if you ask most people to name a charity, they usually do not have any problem doing so. However, it is rare that people really know what is significant about the word charity. In addition, many people do not know what the Bible teaches about charity. Therefore, it is important to know what does the Bible teach about charity. What is the common definition of charity? Charity is commonly defined as (1): The voluntary giving of help, typically in the form of money, to those in need. An organization set up to provide help and raise money for those in need. Kindness and tolerance in judging others. The word is derived from the Latin carus, which is defined as dear, but eventually became known as “Christian love” in Old English. Despite these common definitions, none give us the motivational aspect of charity. How does the Bible define charity? The word charity in the New Testament is the Greek word agape. Agape is translated as “charity” 27 times, as “dear” 1 time, and as “love” 86 times. Agape can be broken down into a prefix of “a-” and a root of “gape” (2). The prefix means “not” and the root means “gape” or “gap.” Together they give us an idea of a love that is without gaps. In other words, it is an unconditional love. Of particular note is that agape is translated as feast of charity in Jude 1:12. A feast of charity was described by Paul in 1 Corinthians 11: 23-34. In verses 23-25, Paul told of what took place at the Last Supper. However, in verses 26-32 he described the Spiritual significance and attitude they should adopt whenever they ate and drank as they had at the Last Supper. Continuing in verses 33-34 he deliberately made the connection from the Last Supper to what often took place when believers gather together for a meal after meeting for worship. This meal was often called a love feast or feast of charity. In many cases, there was a love feast, or fellowship dinner, after meeting together for worship. Those who had servants made the servants serve the meal and the servants were not allowed to eat until their masters were done. However, in verses 33-34, Paul admonished them that when they came together, they should wait for one another so that they can eat together. He added that if they were hungry and could not wait, to eat something at home before they came. Paul’s directives were to get them to base the meal on not only remembering what Jesus did for us, but also to consider one another in love as brothers and sisters in Christ. This is where the idea of a “Love Feast” originated. Demonstrating their love for Christ when they partook of the food and drink and demonstrating their love for one another by waiting for everyone to get their food before they started. Is there any Spiritual significance to the word charity? Finally, the word charity also has another dimension. That dimension is the word’s connection to the Holy Spirit in the King James Bible. In 1 Corinthians 13:1-13, the word charity is used to describe the importance of love when it came to serving God and our neighbors. In each instance as it described activities that we may do, we are told that if our actions are not accompanied with agape love or charity, then they are worthless. When we use the word charismatic in Christian circles, people automatically think of a connection to the Holy Spirit. With this in mind, we see the motivation of charity, Holy Spirit produced love! This is because the root of the word charismatic is the same as the root of the word charity. Therefore, in 1 Corinthians 13, our acts of service are produced by the Holy Spirit. If they are not produced by the Holy Spirit, then they do not meet the Biblical definition of being charitable. How has the redefinition of the word charity impacted our culture? When it comes to the common idea of charity, like other things in our culture, it has lost its connection with Christianity. This thinking is how some can wickedly describe abortion as a charitable act of compassionate love! This is because the culture no longer connects charity with Holy Spirit produced love. However, this does not change how God defined charity – as acts of love motivated by the Holy Spirit because of our love for Christ (1 John 4:19). Charity is commonly defined as (1): The voluntary giving of help, typically in the form of money, to those in need. An organization set up to provide help and raise money for those in need. Kindness and tolerance in judging others. The word charity in the New Testament is the Greek word agape, which describes a love without gaps, meaning it is unconditional. The Spiritual aspect of charity is that, as love, it is part of the fruit of the Spirit, which gives it a Spiritual foundation and motivation. Therefore, the Bible teaches that God defined charity as acts of love motivated by the Holy Spirit because of our love for Christ. Most people neglect that the personal act of giving of oneself- the war feeling of satisfaction of helping others is evidence of the Holy Spirit itself. Giving to charities, the right ones, is good, but rolling up one’s sleeves and personally expending labor is a much more effective way of feeling God’s power in your heart, muscles and loins. Last Sunday, after mass and the following trip to preach the gospel to the demon-possessed at the local abortionist, I dropped off a load of My Little Pony toys to sick little boys. Later in the evening, I served dinner at the local soup kitchen and helped to counsel battered women to reconcile with their wayward husbands. At the end of the day, though physically tired and needing a rest, I felt a warm glow of God’s love.